I'm opening projects using the terminal "pstorm" command. 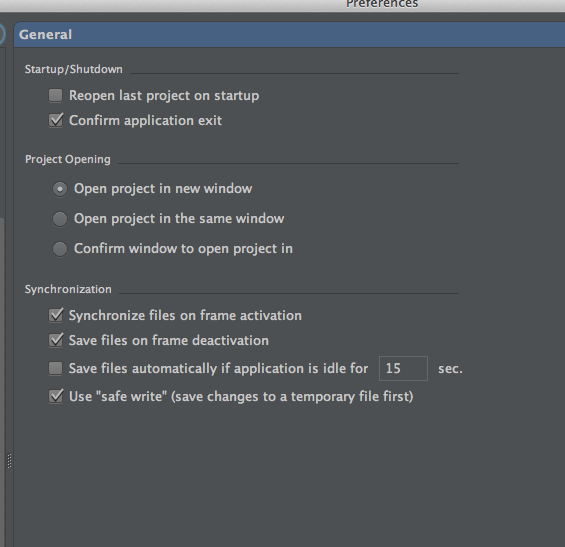 It opens the first project, but won't open any more after that so long as PhpStorm is open with a current project. If I close PhpStorm, it will work again. I'm just trying to get rid of the one project limit so I can return to my old workflow. This is still a problem, and with WebStorm also... any suggestion as a fix? I really doubt that it's the same issue. AFAIK the case here is trivial and absolutely different to that one. Such command will open new project in new frame/window (at least with my settings it will be done in new frame) as long as project is not yet opened regardless if PhpStorm is already running or not. On Mac/Linux user can create that "pstorm" alias/command just for that (special action available in either Tools or Help menu). See if specifying full path to actual PhpStorm.app (or whatever you guys have there on Mac/Linux) as well as specifying full path to the project (similar to what I did) will do any better. It will launch WebStorm open the project properly. However, if the WebStorm already running and I try to open some other project, it does nothing (actually focus on WebStorm app). But, I can directly call `/Applications/WebStorm.app/Contents/MacOS/webstorm` with the project folder, and in this case, it works nicely. Does "$ wstorm /full/path/to/project" works .. or only by directly calling WebStorm.app ? Doesnt work unfortunatelly, only by direct calling. I just created a nodescript as a solution.